We purchased our first JHL FlexLine 414 recycler last year and now have six in total after purchasing two more and signing a two-year lease agreement on another three. Renowned for its eco-friendly performance, the Danish-manufactured FlexLine 414 uses recycling technology to cleanse and re-use water for jetting on site. It is 30% more powerful than standard equipment and delivers a faster turnaround of urgent waste removal and cleaning projects. There are only ten such vehicles in the UK and Jet Aire’s units are the only ones based in the North. 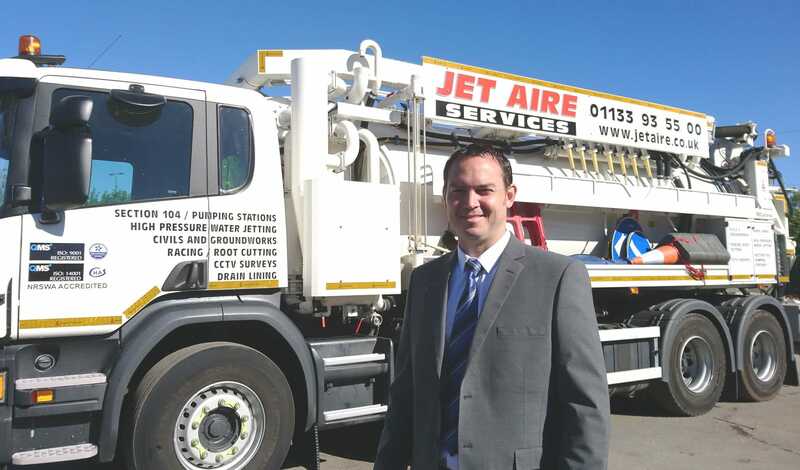 Jet Aire Services have been servicing the UK for over thirty years with a range of professional drainage solutions to commercial, industrial and domestic clients. In 2017 we broadened our service capability with the launch of a groundworks division to provide surfacing, block paving, fencing and civil engineering works on behalf housebuilders, highways operators and local authorities. Jet Aire are accredited and approved by many of the environmental and drainage service industry’s leading bodies and holds both ISO9001, ISO14001 internationally recognised standards for quality management.